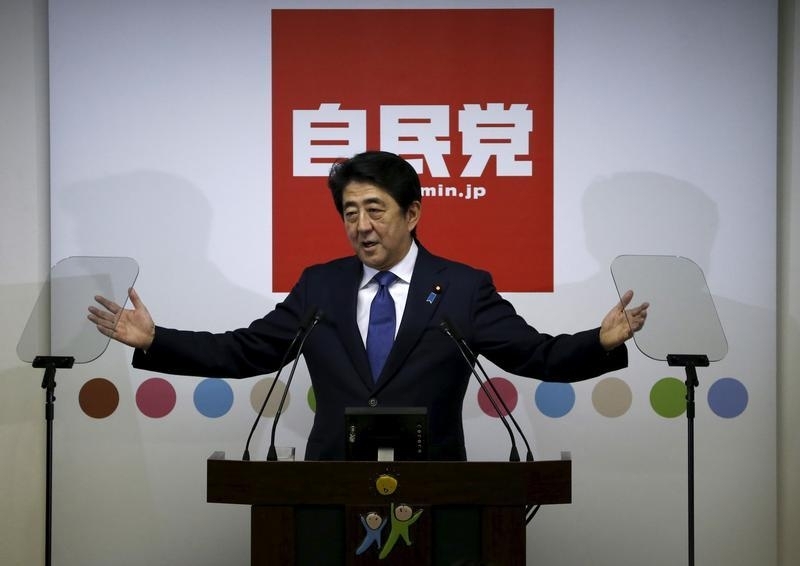 Prime Minister Shinzo Abe has pledged to expand the economy by more than a fifth. That looks fanciful with prices falling once again. A credible objective would need central bank support and better-defined tools. Even so, targeting nominal economic activity has merit. Japan’s core consumer prices marked the first annual drop since the country’s central bank deployed its massive stimulus more than two years ago, keeping alive market expectations of further monetary easing to accelerate inflation to its 2 percent target. The core consumer price index, which includes oil products but excludes volatile fresh food costs, fell 0.1 percent in August from a year earlier, data from the Internal Affairs ministry showed on Sept. 25. It was the first decline since April 2013, when BOJ Governor Haruhiko Kuroda launched his massive asset-buying programme dubbed “quantitative and qualitative easing” (QQE), a sign his sweeping campaign has failed to accelerate inflation toward his ambitious target. When stripping away the effect of energy and food costs, however, consumer inflation accelerated to 0.8 percent in August from 0.6 percent in July. Prime Minister Shinzo Abe vowed on Sept. 24 to raise nominal gross domestic product by nearly a quarter to 600 trillion Japanese yen ($5 trillion).